Clementine (Clemmy) Klein Brodsky - Age 80, in Silver Spring, MD on Monday, July 3, 2017. Beloved wife of Allan J. Brodsky, devoted mother of Anne Brodsky (Margaret Chriss) of Washington, DC and Jay Brodsky (Lynn Westwater) of Arlington, VA. Loving grandmother of Sofia, Julia, and Anna Brodsky, cousin to Richard (Susan) Hommel, Oscar (Barbara) Soule, and Eda (Mort) Cowen. Clemmy was born in Missouri, the only child of Jay and Alice Hommel Klein, and was the granddaughter of Oscar and Bella Mayer Hommel, early members of Rodef Shalom in Squirrel Hill. Long-time residents of Shaler Township, Clemmy and Allan, her husband of 58 years, were founding members of Temple Ohav Shalom in the North Hills. She earned a bachelor’s degree in chemistry from Arcadia (Beaver) College in Philadelphia and a Masters in Counseling from the University of Pittsburgh. Clemmy was a former secondary education teacher in Shaler Township. She was a lifelong social justice volunteer, active with Temple Ohav Shalom, a board member of the Greater Pittsburgh and North Hills YWCA and of North Hills Community Outreach, involved with Pittsburgh North Anti-Racism Coalition, and NACEL, an international student exchange program. Clemmy was a snappy dresser and an avid tennis player, gardener, and supporter of the Pittsburgh Symphony, Pittsburgh Public Theater, and the Pirates. Most of all, Clemmy was a gregarious people-person who could talk to anyone and who made friends everywhere she went. Her warmth, generosity, and good humor will be missed by all. Graveside Services and Interment will be held on Sunday at 1 PM at West View Cemetery of Rodef Shalom Congregation. In lieu of flowers, donations may be made to North Hills Community Outreach (http://nhco.org), Planned Parenthood of Western Pennsylvania (https://www.plannedparenthood.org/planned-parenthood-western-pennsylvania), or Temple Ohav Shalom (http://www.templeohavshalom.org/). I'm sad to hear this sad news. I'll never forget Clementine's sweetness. Kind thoughts to the Brodsky familly. We were surprised to receive the sad news about Clemmy’s sudden passing. So many beautiful memories go through our heads of the 37 years we have known Clemmy and your family. Fall of 1980 our family moved to the North Hills of Pittsburgh from CT. Clemmy welcomed me to The North Hills YWCA’s Dance Aerobics Class with Kathy Deli (teaching). Over our 16 years living in Pittsburgh’s North Hills, our friendship grew, as did our circle of friends, with Clemmy and your family opening many ‘doors’. 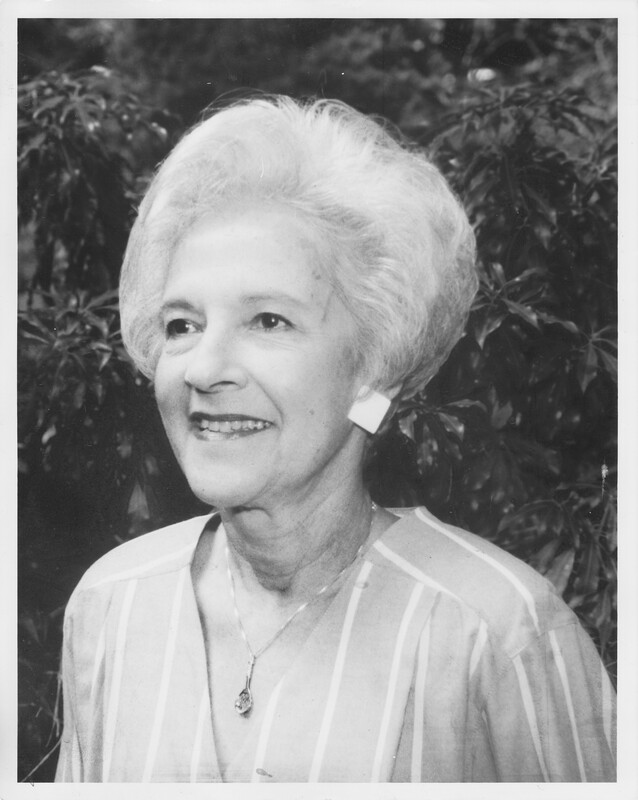 Clemmy was an elegant, smart, warm, outgoing woman with true leadership skills, who used those skills to encourage others to ‘get involved’, to take part in civic events, and work for worthy causes, especially women’s causes. She made friends wherever she went. And those friendships were ongoing, even if friends were many miles away, as we have been for the last 21 years. You traveled to visit us at our home in MI, and later here in Kirkland, WA. In between you joined us in Austin TX to celebrate Lisa and Bruce’s 2004 wedding. In fact, I recall that it was not unusual for Clemmy and you to visit old school mates, old friends, and others. Once friends, always friends, was another of Clemmy’s great traits. To Allan, Jay, Anne, and all of your family, we are so sad for your loss. It is also ours. We hope you will continue to stay in touch. My daughters and I were so sad to learn that our neighbor Anne\'s mom died this week. We always enjoyed talking with her when she came to visit Capitol Hill. We will remember her sunny smile and the fun, interesting conversations we would have. She was an elegant woman who clearly touched so many lives. We will remember her fondly. We wish your family peace during this difficult time. My daughters and I were so sad to learn that our neighbor Anne's mom died this week. We always enjoyed talking with her when she came to visit Capitol Hill. We will remember her sunny smile and the fun, interesting conversations we would have. She was an elegant woman who clearly touched so many lives. We will remember her fondly. We wish your family peace during this difficult time. Clammy was a dear friend of my Mother, Mary Lou Tiernan. Meeting Clemmy was to be embraced in her warm friendship. May your family celebrate her life remembering her generous kind spirit. My heartfelt condolences on the loss of your dear Clemmy. She was such a warm and gentle lady and I know she will be missed by the entire family. So sorry to hear of Clemmy passing. We will always remember those parties that Nancy had on Clare St. Our sympathy to the entire family. Clemmy will be in our prayers. John, Daisy and John III. My deepest sympathies go out to Allan, Anne, Jay and their entire family. On a personal note, I have lost a mentor, role model and dear friend ... I will miss her, always. The world is a brighter place due to Clemmy's boundless energy. In addition, many of us are far better people for having known her. I will be keeping her family, along with all those who loved Clemmy, in my thoughts and prayers. Dearest Anne, My deepest condolences to you and your family for the passing of your mom. I met her a few times in Pittsburgh, she was kind, lovely and beautiful. Losing mother is hard and painful , May your mom rest in Peace along with my mom whom we lost just a month ago. Love to you. I may be 69 now, but I was only a teenager when Clemmy Brodsky was my science teacher at Shaler High School in the early 1960s. Lucky for me, my family stayed in touch with her over the years. I remember being impressed that she called on us at home when my mother died in 1982. And when my father died in 2002, she and Allan helped my siblings and me by taking our teenage children to a baseball game at the new Pittsburgh stadium so that they could have a good time while we focused on things we had to do. The last time my twin sister, Matty, and I saw Clemmy was in 2006 when we went to our 40th high school reunion. She and Allan joined us for a meal together. My favorite memory, though, is when Clemmy and Allan visited me in Austin, Texas. They were in the area to attend a wedding. We went to the LBJ Library and Museum, and we also climbed 100 stairs to the top of Mt. Bonnell for a beautiful view of Lake Austin. Clemmy made the climb even though she was 70 years old! I was very proud of her. I can appreciate what a good sport she was even more now that I'm approaching the age of 70 myself. I will always remember Clemmy for her smile, her kind and cheerful personality, and her good and lasting marriage to Allan. I am glad for the memories I have of her. Heartbroken. Best friend for 57 years. Many wonderful memories. We are so so sorry to hear of loss of Clammy. Such a kind, dear person.